Not an ITM affiliate? No problem. We’re thrilled to work with you. Many opportunities are open to those who partner with one of our researchers. We’re part of a national network of more than 50 hubs doing innovative translational research. Funded by the National Institutes of Health (NIH) National Center for Advancing the Translational Sciences’ (NCATS) Clinical and Translational Science Awards (CTSA), organizations like ours harness the strength of collaborations with partners like you to make research breakthroughs and improve public health. 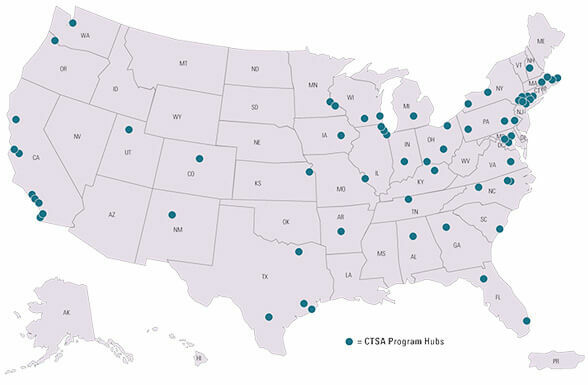 Including the ITM, there are three CTSA programs in the Chicagoland area.